Successful photographer Callie Perry thinks she has a pretty perfect life, although it may not be everyone's idea of happiness: a great job, lots of time with her daughters, but a workaholic husband. She couldn't be more unlike Steff, her younger sister, who has never held down a job—or a boyfriend—for more than six months. Walter and Honor, their divorced and perpetually feuding parents, have almost given up hope that Steff will ever learn what it is to be responsible … until they all receive a shocking email that changes their lives forever, and brings them together one extraordinary summer in Maine. It’s not a secret that I’ve struggled a bit recently with Green’s latest novels. I was a huge fan of her older work but the last few left me feeling frustrated and bored. 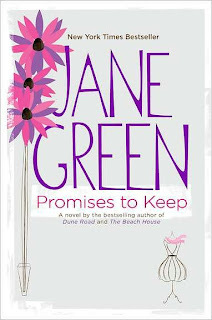 Promises to Keep is different from the beginning for me- I was far more intrigued by the characters and they felt less flat and empty. I found the first few chapters a bit confusing as there were a lot of people and places - it took me a good few chapters to sort them out and grasp their relationships. I think there was probably an easier way to introduce them all without it being so choppy but once I got over this I became really wrapped up in the family’s life and struggles. I enjoyed the whole lot of them and I laughed with them and cried my eyes out more than once. I’ve been trying to pin down a favourite character but if it was anyone it was probably Steffi’s friend Mason (which is a bit odd as he’s not one of the main players) but he seemed natural and honest for me- I liked him a lot. I also appreciated that Green gave some depth to the children in this story- they were, after all, extremely important to the family as a whole and a lot of focus on their care was needed too- Green made this seem unlaboured. 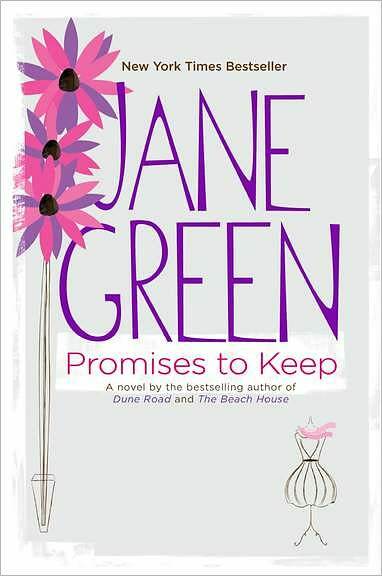 After I finished reading the book I read the notes from Green at the back and realised that Promises to Keep is written from a more personal place for her. It shows entirely in her writing and I really hope this will re-engage the feeling in her writing for me again. Thank you to Penguin Canada for our review copy!